At 1331 EVE on the 20th of May, United Crusade forces put XiX’s staging Keepstar into its final reinforcement timer. Recognising that the end was nigh, XiX decided to mount a full alliance evacuation from Insmother. At around 1500 EVE, they had an alliance meeting where they explained this to the line members. Triumvirate spies knew about this, and further, had infiltrated XiX strategic command. They knew that a full evacuation op was imminent on the 20th. They also knew the route and the timing. In coordination with their allies, they set a trap in the system of the C-LTXS. DRF/TEST: The Drone Regions Federation and TEST deployed a combined 1001 pilots. The DRF had a hodgepodge move fleet, which was heavy on supercapitals. TEST sent a significant carrier and dreadnought fleet, with sub-capital support. United Crusade*: Comprising Triumvirate, Winter Coalition, the Holy League and assorted allies. This side deployed 1300 pilots, with a particular emphasis on a large number of supercapitals. They also fielded a large dread-bomb, mostly from Fraternity. Imperium: The Imperium sent 323 pilots, mainly in Cerberuses. They targeted DRF ships in the main, before re-targeting against Pandemic Legion. Due to the extraordinary TiDi, their contribution was limited. The North: Comprising mostly NCdot/PL, with assistance from Pandemic Horde and Guardians of the Galaxy. They deployed 619 pilots – mainly in dreadnoughts and carriers. However, they also had a significant number of sub-capitals on the field. This force acted in concert with the United Crusade. The first shots were fired at around 1638 EVE. TRI and their allies placed static warp disruptors in the system. However, a fleet of Munnins from TEST destroyed most of them. As DRF capitals and supercapitals jumped in, they moved Sabre interdictors into position. Despite heavy casualties, they kept the DRF fleet pinned down. With the enemy exposed, TRI and their allies struck. Their sizeable supercapital force was dropped into the system and began firing upon the DRF fleets. Despite the initial losses of carriers, mainly from Red Alliance, the tide started to turn. TRI/FRT titans volleyed DRF ships off the field, and their carriers used space superiority fighters to deter DRF fighters. The fact that this was a move op hampered the DRF. They did not have sufficient FAXes to keep their ships repaired. Moreover, the different ships had an assortment of different fits; complicating the task of commanding them. Of particular note was the lack of adequate tank on many of them. Around 1730 EVE, Fraternity dropped a large dread-bomb directly on the DRF fleet. This risky play seemed to pay off, diverting attention away from their main force. It also inflicted significant casualties on the DRF. At about this time, an NC/PL force deployed to aid Fraternity. Comprising predominately of dreadnoughts and carriers, with limited subcapital support, it further degraded the DRF capacity. From 1802 onwards, the DRF began to lose titans – with the first going down at 1759 due to combined fires from Fraternity, NC/PL and Triumvirate dreadnoughts. The situation only worsened for the DRF as Skill Urself and V0LTA entered the field with supercapitals. At around 1813, reports came in that a TEST super fleet was holding one jump from C-L. However, despite the committal of some TEST carriers and dreadnoughts, it did not involve itself. Some have argued that this represents cowardice. However, some evidence indicates that the TEST force was too small to make a significant difference. The fighting continued, but without TEST reinforcements, the DRF knew it was a losing struggle. By 1859, individual titans and supercarriers cleared bubbles off them and began jumping out. Goonswarm, flying Cerberuses, finally reached the scene at around the same time. 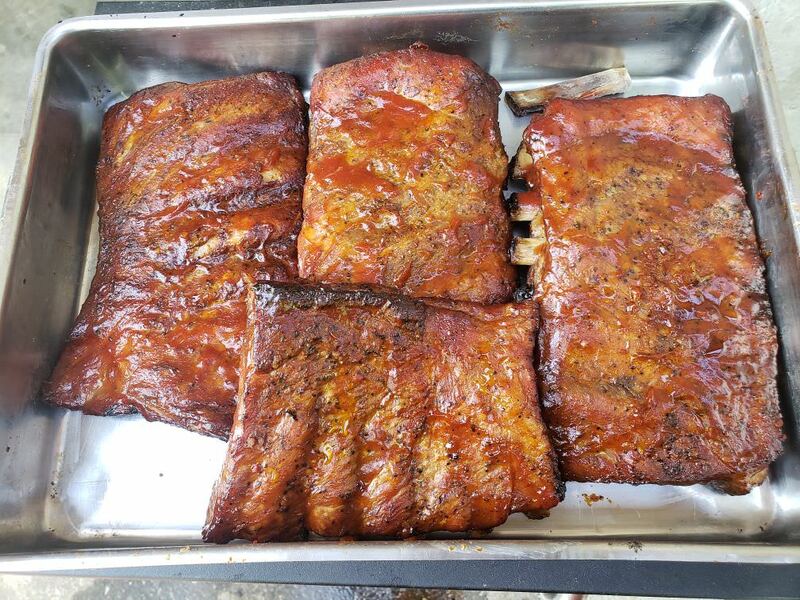 Their fleet commander maintains that the involved process of cooking his ribs – with a secret family recipe, NER is assured – did not delay the fleet. Experts remain dubious. In seriousness, because this fight was a surprise, TiDi was extremely heavy. Socket closures and disconnects were standard on all sides, impeding capacity for action. At around 1918 EVE, Northern Coalition provided a cyno for SNUFF. They promptly dropped dreadnoughts to help clear up the remaining DRF forces. This was an unusual alliance of convenience, which saw significant consternation for commentators. The killing continued up until around 2030. The last DRF supercapital died at 2025, and the last few minutes of the engagement were spent butchering stragglers. The battle was over. Total losses stand at 2917.28 billion ISK lost by DRF/TEST, 570.6 billion ISK lost by TRI and their allies, 22.07 billion ISK lost by the Imperium and 53.32 billion ISK lost by NC/PL and allies. The New Eden Report is currently following up with diplomats and commanders to determine the consequences of this fight. It is likely that Legacy coalition will give XIX a home. The exact location of this home is up for debate. Some commenters have suggested Impass, while others indicate that Feythabolis might be better. What is potentially more interesting is what TRI and their allies intend to do next. The 10 Month War is over, with a resounding victory for them. The next likely target is Legacy, by dint of geography and the recent battle. NER will keep you updated as the situation progresses. *For the sake of brevity, this article uses ‘United Crusade,’ to refer to the combined TRI/WinterCo/V0LTA/Skill/LUMPY/Red Menace forces fighting the DRF. This term is authorial shorthand only and has no official status.